The Folsom Powerhouse began operation in 1895 along the American River in Folsom, California. The plant was one of the world’s first hydroelectric plants. Its design was significant, establishing a standard for power generation and transmission that is still used today. The electricity generated here was transmitted to Sacramento, an unprecedented 22 mile distance. 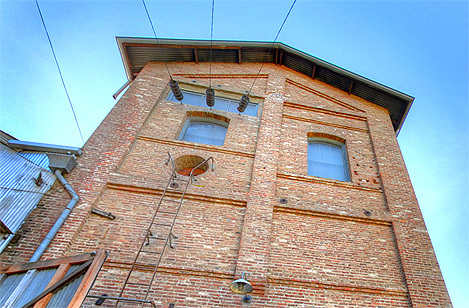 Explore the Folsom Powerhouse through this virtual tour and discover how this feat was accomplished and the importance of this historic site. Select the image below to explore the Folsom Powerhouse. This site was created courtesy of California State Parks. All photography and interpretive text by Matt Thompson. See the California State Parks website for more information about Folsom Powerhouse State Historic Park.